The Bluebeards Revenge are very proud to announce a new partnership with male mental health and suicide organisation The Lions Barber Collective. The Lions Barber Collective works hard to educate barbers in how to spot the symptoms of mental health and depression, whilst encouraging men to talk to their barbers (and each other) about their issues. Suicide is the single biggest killer of men under the age of 45 in the UK and, in 2014, 74% of all suicide victims in the UK were male. These are just two of the many shocking statistics that highlight just how important the charity’s work is. The Bluebeards Revenge is dedicated to promoting and supporting the fine work that the charity coordinates. Our work will begin with an innovative campaign that will see the inside of The Bluebeards Revenge cartons rebranded with powerful messages from The Lions Barber Collective. The inspiring partnership will also help The Lions Barber Collective to raise vital funds for its BarberTalk initiative, and the millions of men that suffer from depression worldwide, by introducing a limited edition Bluebeards Revenge grooming product, with all the proceeds going to the charity. BarberTalk is a bespoke training program which aims to enable barbers to recognise, talk, listen, and signpost their clients when they are sat in the barber chair. 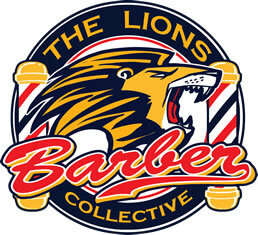 For more information on The Lions Barber Collective, visit thelionsbarbercollective.com. This team effort hopes to merge its efforts and cooperate for the specific purpose to promote & enhance the work of British barbers and barbershops. They believe professional barbershops can keep standards high enough to stand out from the unskilled shops opening all over the country. They aim to support the British barbers that show enthusiasm for the industry in both improving their businesses and achieving recognition for the effort and dedication they put into the craft of barbering. The Bluebeards Revenge will be working on a number of interesting projects with the British Master Barbers to promote the industry and the quality of the people who work in it. 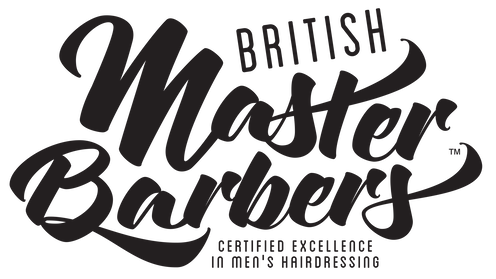 For more information on the British Master Barbers, click here. The Bluebeards Revenge are very pleased and proud to announce a new partnership with male cancer charity Orchid. Over the course of the campaign, the brand will be doing its very best to support this outstanding organisation, beginning with an innovative campaign that will see all Bluebeards packaging feature potentially life saving advice for men on the insides of the cartons. Up to now this has just been unused space which will be pressed into service with a view to educating men on how to check for and deal with male cancers. Significantly this campaign will be headed up by Phil “The Raging Bull” Vickery of England rugby fame! The exciting partnership will also look to raise vital funds to help Orchid fight the three main men’s cancers – prostate, penile and testicular cancer. Every year over 37,400 men will be diagnosed with a male cancer in the UK. Orchid is the UK’s leading charity specialising in these three male specific cancers – testicular, prostate and penile disease. Established in 1996 by a young testicular cancer patient and the oncologist who saved his life, Professor Tim Oliver, Orchid works to improve the lives of people affected by male cancers in 3 ways: a range of support services, educational campaigns and raising awareness and through funding a pioneering research programme. Orchid is a small dynamic charity that “punches well above our weight”.  In the last two years they have increased their income, awareness campaigns, profile and educational programmes. Today they support more people than ever before. But with cases of male cancer on the increase, they need to do even more to support men and their families – both today and well into the future. For more information on Orchid, visit www.orchid-cancer.org.uk. At Armour to Barber the mission is to enable ex-service personnel to reinvent themselves in an exciting and rewarding industry. No matter how many years of service our prospects have given, they are there to help them transition smoothly into barbering with all the support they need. Barbering is enjoying a renaissance that shows no signs of slowing down, which has created a shortage of high-quality barbers. Armour to Barber believe that ex-service men and women have all the attributes to take the trade by storm: patience, people skills, an attention to detail and the ability to stand on their feet all day without a single complaint. Their dedicated team helps committed individuals to gain vital work experience in approved barber shops all over the UK. It also provides detailed information on the charities that can offer essential funding and carefully advises which courses suit the needs of each prospect best. For more information, visit armourtobarber.uk.